Taking design cues from rustic and nautical lighting, these industrial wall Sconces provide subtle, yet highly fashionable, accent pieces to interior and exterior locations. A versatile black finish helps our wall lighting fit in seamlessly with a wide variety of Decorative sensibilities. 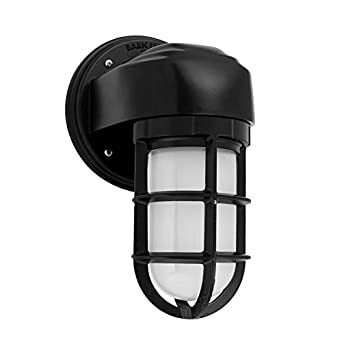 Durably crafted and assembled by hand, these wall Sconces withstand the conditions they face in high volume commercial spaces and outdoor settings.